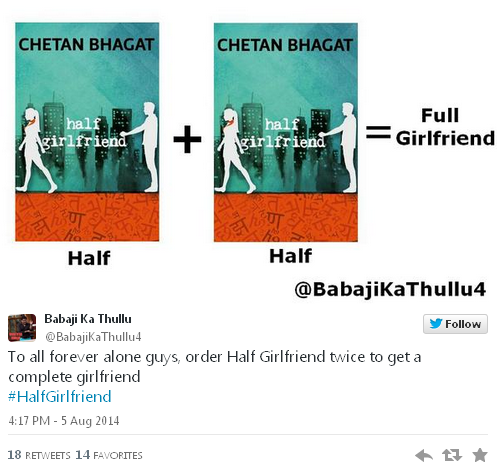 Hilarious Reactions to Chetan Bhagat’s new book Half Girlfriend! Love him or hate him, you just can’t ignore him. Cliched as that statement is, it actually holds quite true for Chetan Bhagat. He makes damn sure it does. 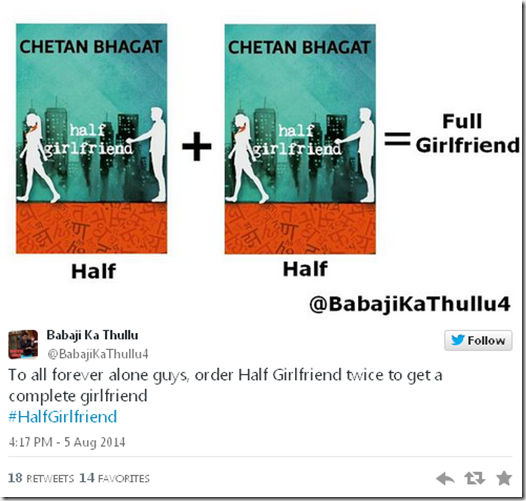 Earlier this week, Chetan Bhagat announced the October release of his latest book, provocatively named ‘ Half Girlfriend ’. One wonders how much time he spent choosing the name! Because that name, that irritating, grammatically incorrect, execrable name has single-handedly gathered enough publicity to launch a rocket, never mind a book. No PR agency could have done better. The term “#HalfGirlfriend” was trending on twitter for 3 days after the full-page ad that Bhagat splashed across prominent national dailies. Most of the reactions were contemptuous, snide and occasionally, off-colour – but they served Bhagat’s purpose by making him, and his book, the talk of the town. The X-rated – read at your own risk! So, which of these did you like the most? Tell us! Chetan Bhagat, of course, is notorious for courting controversy; some time back he claimed that Indian youth are only interested in babes and pay packets, while his writing has often been accused of being anti-women. But Bhagat-baiters might be pleasantly surprised by his book What Young India Wants… give it a shot if you will! Do you want to wait for 2 months to read “Half Girlfriend”? Or Do you want to read “Nickel Girlfriend” now? 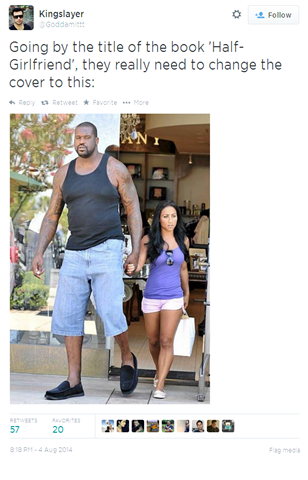 Do not you think, when every girl is dating more than dozens of guys, “Half Girlfriend” is very outdated concept? 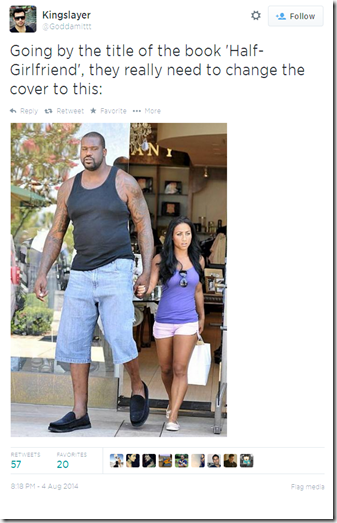 Check this new book titled “Nickel Girlfriend” at Amazon. I bet his better half is fully amused by all these reactions!